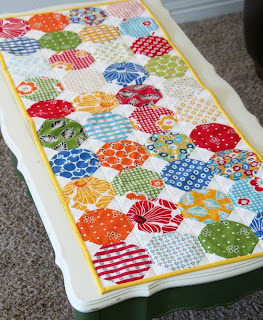 SEW MUCH 2 LUV shows how easy it is to make these cute tissue covers, another great idea for those scraps we all accumulate. A clever tute by SEW MUCH 2 LUV to make a small zippered bag for those of us that have a fear of zips. 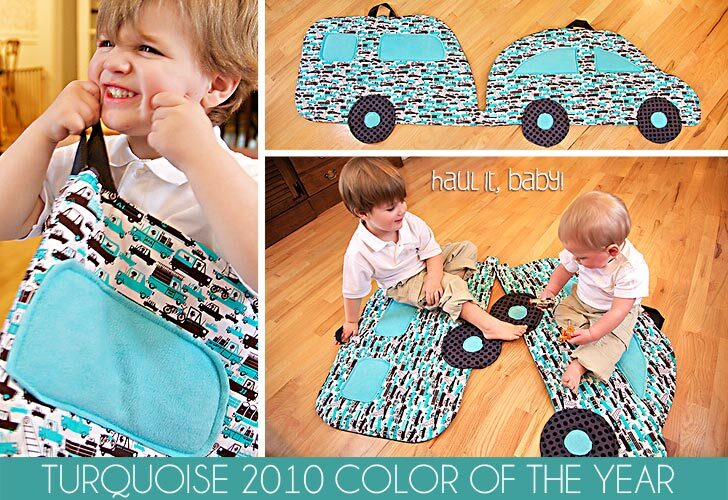 A great way to use up your scraps leftover from projects using your favorite fabric. Luv that owl fabric. SEW MUCH 2 LUV has this great apron Tute to share, lovely fresh look with some yummie fabrics. Cluck Cluck Sew has made a simple table runner using snowball blocks she calls Summer Runner. Lovely and easy to whip up and looks great. Great to use a charm pack up. I am have a good look around at the Sew 4 Home site. 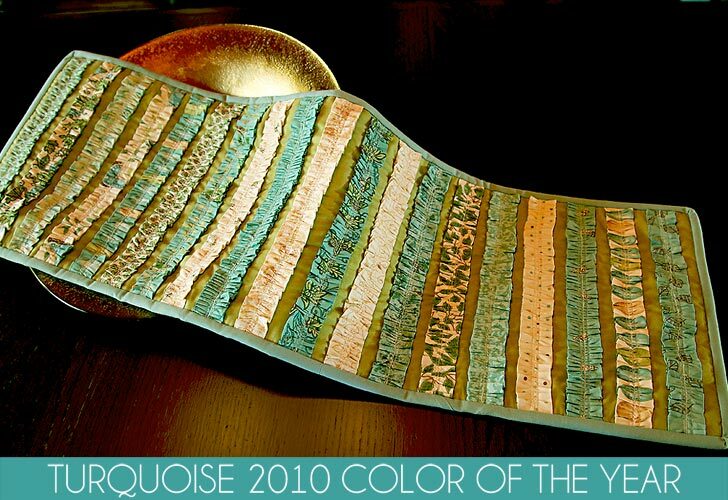 Lots of goodies over there including this Ruffled Jelly Roll Table Runner. 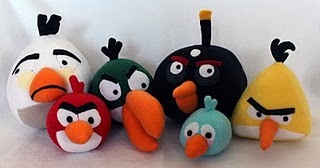 Have you played "Angry Birds" on your iPhone? Its addictive....and now look what I have just come across. 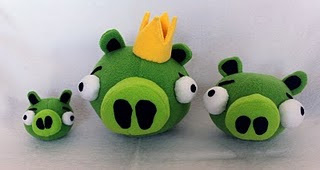 Obsessively Stitching is sharing her Angry Birds Plush toy pattern....how cool....Angry Birds and the Piggies....cracks me up!!! Take a look around the blog as she has a heap of tutorials. Some cute kitties and lots more. While I was over at Dollar Store Crafts I noticed a tutorial for another Oven Mitt at Sew 4 Home. 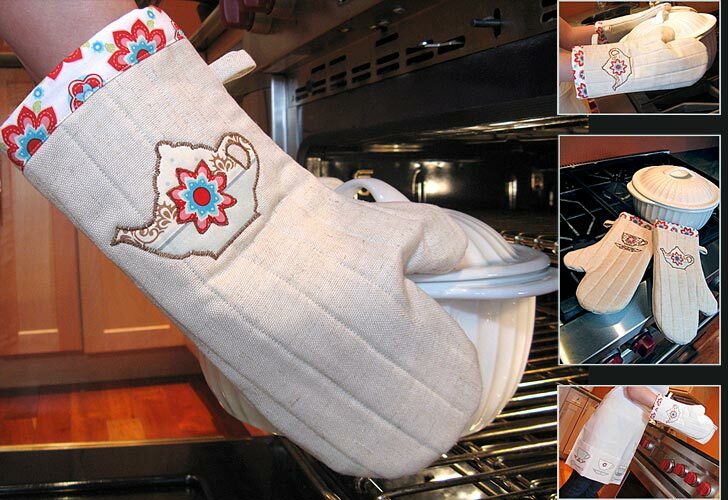 Cute applique on these mitts. 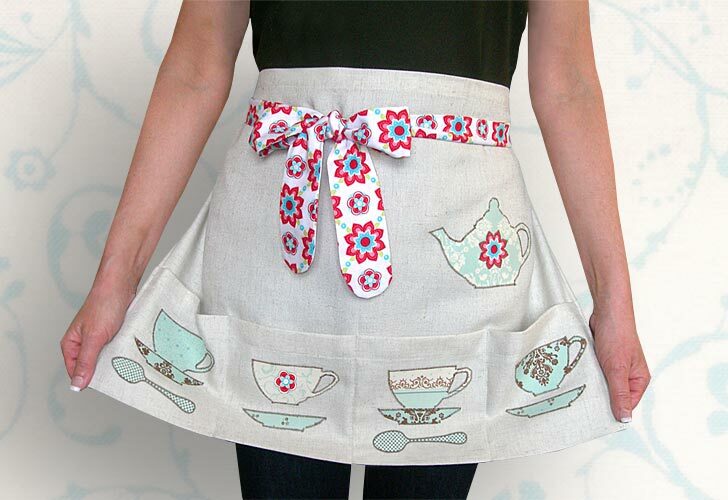 They also have a matching apron to go with the oven mitts. 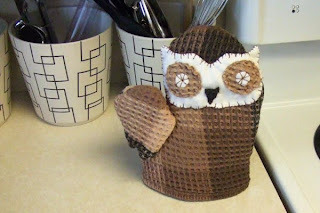 Dollar Store Crafts has a tutorial to make cute Owl Oven Mitt....what a hoot!!! 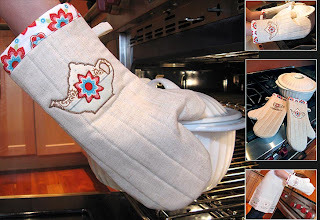 Chris from Pickup Some Creativity shares a tutorial on how to make her favourite oven mitt. 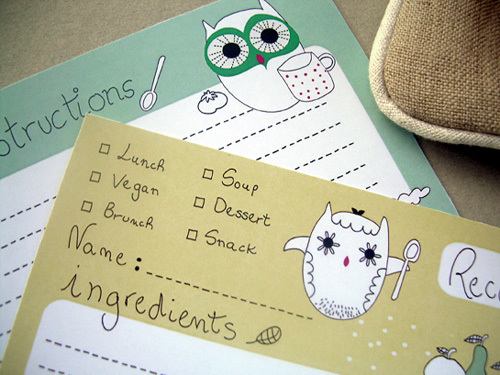 Looks nice and easy too!